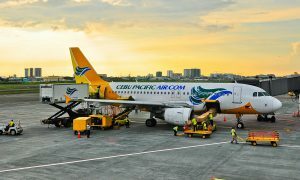 Cebu Pacific accepted delivery of its 32nd brand-new Airbus A320 aircraft which arrived at the Ninoy Aquino International Airport (NAIA) last Saturday, September 26, 2015. This is the third Airbus A320 aircraft that the airline is set to receive this year. The brand-new Airbus A320 is the airline’s thirteenth aircraft that comes equipped with Sharklets. Sharklets are 2.4 meter wingtip devices that enable airlines to reduce fuel burn by up to 4% on longer sectors. 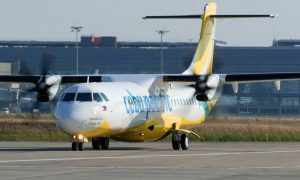 With an average age of 4.82 years, Cebu Pacific Air aircraft fleet is one of the youngest in the world. Between 2015 and 2021, airline will take delivery of 6 more brand-new Airbus A320, 30 Airbus A321neo, and 16 ATR 72-600 aircraft.